Builds up Immunity – Possessing anti viral, antifungal as well as antibacterial properties, turmeric helps in strengthening the immunity system immensely. This easily available spice enjoys the reputation which transcends across the entire planet. It is. also used as an anti-allergic and the powder is very effective in warding off ailments associated with respiration especially asthma which is so common during the winter season. While boiling milk, add an inch long piece of fresh turmeric or even half a teaspoon of turmeric powder to it and allow the solution to boil for five to ten minutes. Then have this drink which shall provide so much relief. Detoxifies Liver – It is a natural tendency to eat & drink a little more than normal in winters which makes our liver to work overtime. Needless to mention, including turmeric in our daily diets shall help a great deal. 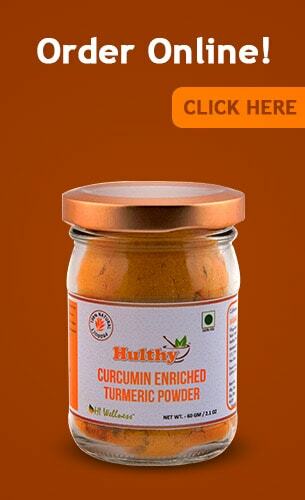 The production of enzymes gets enhanced by turmeric powder which facilitates detoxification of the system. 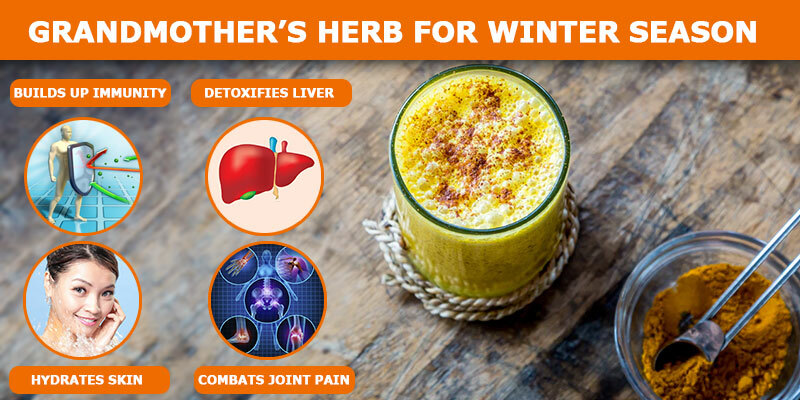 Put one-fourth teaspoon of turmeric powder and cinnamon each along with a green tea bag in a cup. Then pour hot water and stir till the spices are dissolved. Have this to experience a soothing effect. Combats Joint pain – One of the effects of severe winters is the aggravation of joint pain(s) which can complicate issues. By virtue of inherently possessing anti-inflammatory properties, turmeric aids in combating joint-pain(s). Consuming turmeric powder in recommended amounts over a period of time brings down the intensity of pain to a large extent. Make a paste by mixing a teaspoon of turmeric powder, a couple of garlic cloves and a teaspoon of honey and apply it liberally over the affected area. Let it be for about twenty minutes and then remove it slowly and gently. This procedure should be adhered to at least three times a week for potent results. Hydrates Skin – Due to the cold experienced in winters, the skin tends to go dry which is a very common issue experienced by one and all. It’s a universal household topic in the cold season. A paste created by whipping turmeric, honey and milk is an ideal agent to exfoliate and hydrate our skin as well at the same time. Alternatively, spread a lotion made of the half teaspoon of turmeric powder with a teaspoonful of milk on the entire face. Like a face pack, leave it for some time and then wash with a little besan to take care of the yellow stains that turmeric may leave. Prevents Weight Gain – Due to excessive indulgence of eating and drinking during winters, weight gain is a natural result in this season. Having plain milk with a little turmeric has proved in so many cases to be one of the most potent weight loss strategies during this season. In winters, days are shorter and the nights longer. It is but natural for our bodies to crave for more rest. Thus, we should consciously attempt deliberately to hit the bed earlier which shall enable us to feel more fresh and vitalised on waking up. It goes without saying that this season is most enjoyable when one remains fit and healthy without falling prey to diseases associated with this season. My nani takes so much care of me even though I am a 25 year old now. Whenever, I go home, she always says that I have become very weak and pale. So she cooks for me and does not forget to give me a daily dose of the magical curcumin with milk. No woner I feel so fresh and energetic at home. Planning to incorporate this habit in my daily life soon.